Sophia Barinova is a Legal English trainer and language consultant; director of an authorised TOLES Exams center (Test of Legal English Skills) in St. Petersburg, Russia. Sophia also holds PhD in English and German, and works for the Leningrad State University. 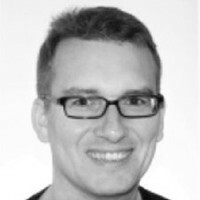 David has taught ESP/Legal English/English for Economics, Management and Marketing (combined with EU Multilingualism/Translation Policy) within the Faculty of Law, Université libre de Bruxelles since 2011. He holds a BA in European Studies, Languages and Literatures (1999) and a PhD in Italian Studies (2008), both from University College Cork, Ireland. He has published mainly on 20th/21st-century Italian literature. His latest research concerns EU legal terminology and the “untranslatability” of legal language in the supranational EU context. An article-chapter entitled “Equal respect or equal effect: the untranslatability of legal terminology and its impact on language parity in the EU” is forthcoming in a collected volume to be published by Cambridge Scholars Publishing in 2015. I graduated from Manchester University in Management Sciences and worked in the UK in industry and IT for a few years before moving to Monza, Italy in the mid 1990s. My client base includes multinational organisations as well as tax consultants and legal professionals. I teach specialized courses to the local branches of both the Law Society (Ordine degli Avvocati) and Chartered Accountants (Ordine dei Dottor Commercialisti e Esperti Contabili) as well as many local private law and tax firms. Through my role as EULETA Board member I have an extensive network of contacts throughout Europe and regulary organize international seminars with professional in other European countries. I graduated from the Adam Mickiewicz University in Poznań, Poland (the English Philology Department). Since 1998 I have been teaching business professionals and since 2004 I have focused on legal and financial English and tutored law students, legal trainees, advocates, legal advisers, tax advisers, accountants and judges of common and administrative courts. In my Legal English Centre, an authorised TOLES exam centre, I offer workshops for lawyers, group courses and individual tuition. increase confidence, fluency and accuracy in speech. I have designed and published my study materials (Civil Procedure Terminology: Survival Guide for Polish Lawyers; Prepositions in Legal Use and More: Networks of Meaning, Higher level and Advanced level; Employment Law Terminology: Survival Guide for Polish Lawyers). 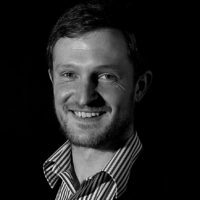 Matt Firth teaches Legal English at the University of St. Gallen, the Hochschule Vaduz, and the Management Centre Innsbruck. He is Academic Director at TransLegal, the world`s largest provider of Legal English courses and materials. 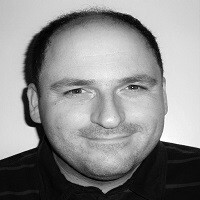 Matt has authored many Legal English courses with TransLegal, and also edits an online Dictionary of Law. He organises regular workshops for teachers, as well as training seminars for lawyers and businesspeople. His recent publications include Introduction to International Legal English, several teacher`s books in academic English, and a series of online workbooks. Matt also writes the Legal English column for Business Spotlight. Matt has organized many training seminars for teachers of Legal English across Austria and around the world. His work as EULETA representative includes encouraging networking between teachers, supporting new Legal English initiatives in Austria, and establishing a regular ideas swap shop. 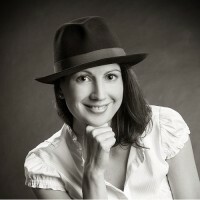 Olga is a lawyer-linguist having her private practice established in 2004. As a professional teacher of English (Philologist; Teacher of English language and literature) and a qualified lawyer (State Administration and International Relationships), her activity has always been closely connected with teaching, jurisprudence and translation. As a Legal English trainer, Olga delivers the course to both future lawyers and legal professionals from private and public sectors. She has participated in various international and domestic projects. Among the courses developed and successfully implemented – Legal English (comprehensive course for legal practitioners), Legal Writing (with accent on plain English), Contract Language, Interviewing and Advising, Legal English for Secretaries. 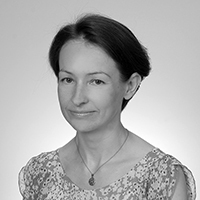 Olga is a co-author of English-Ukrainian Dictionary of Legal Terms and an author of English-Ukrainian Explanatory Dictionary of Legal Terms Used in Maritime Law. I hold a Bachelor of Laws Degree from Cardiff University, during the completion of which I attended assessed courses at Universität Trier. I have experience of teaching lawyers and legal professionals. I also have experience of working in the fields of copyright and licensing. I’m a Ph.D. holder, a university lecturer and a sworn translator/interpreter, specializing in legal translation and conference interpreting. I have graduated from the University of Warsaw in Poland, where I obtained an M.A. and Ph.D. degree, followed by two years of post-graduate training in conference interpreting and a few years of teaching experience both in Poland and England. I am particularly interested in comparing legal systems of various countries and currently I am doing research related to insolvency and bankruptcy proceedings in Poland, Great Britain, the United States, Canada and Australia. I have set up LingLex, a School of Legal English, which offers courses and seminars on various aspects of Legal English and I run Legal English classes, teaching lawyers and business people. At the moment, I am also working on my own Legal English coursebook, which I will have published in the near future. English, and Legal English in particular, has always been my great passion, which ensures that whatever I do in terms of my work, I also do as part of what I identify with. 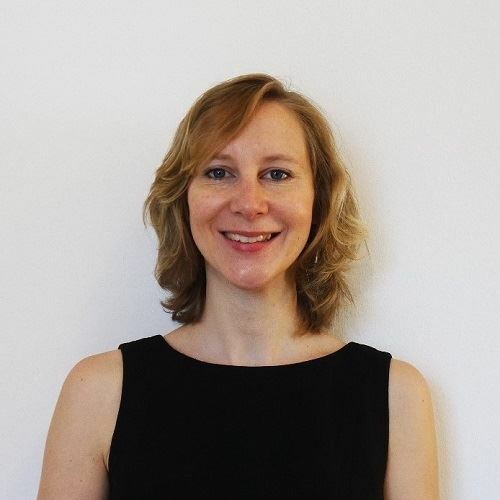 Louise is a British Legal English teacher and founder of Study Legal English which provides Legal English resources to language learners including a free podcast. She holds a first class degree and master's in Law and following university worked in the legal field working on the development of international environmental law. Since 2013 she has been teaching Legal English (including preparation for LL.M., TOLES, and contract drafting), to people from around the world both in-house and online, spending 2013-2014 in Rio de Janeiro, Brazil and now currently based in Lecco, Italy. Szabó László is a certified translator in English-Hungarian languages, working in law. 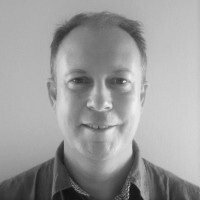 He worked as an in-house translator at a market-leading Hungarian translation company for 8 years, then as a freelancer, working for major UK and Hungarian translation companies, translating texts in law. He holds a degree in teaching English. His studies covered four years of studies in linguistics. Then he completed a six-month law course provided by the University of London, and also passed TOLES at its advanced level. In summary of more than 15 years of translations in law, he has written a book on legal English, duly proofread by a U.S. attorney and linguist, which was acknowledged by an Oxford Law Professor as "a masterly work". In 2017, he participated as speaker at the Bialystok Legal English Conference and as a speaker at the Brno workshop of EULETA. Qualified as a UK lawyer and former member of the New York Bar Association, Sofia is now based in Italy where she trains lawyers, accountants and notaries through the Ordine dei Dottori Commercialisti e degli Esperti Contabili and the Ordine degli Avvocati. She also trains psychologists through the Ordine dei psicologi di Emilia Romagna and C-Level directors in many multinational and national companies. She has also taught law students at various universities, master courses and post -graduate courses. 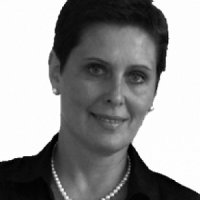 She also runs training courses for in-house Counsel (giuristi d’impresa), translators and other professionals. She teaches Legal English, Finance English and Business English as well as Contract Law, Commercial Law, Company Law, Trusts, Banking Law, Intellectual Property, International Trade Law, Customs Law, Freight Forwarding, Aviation & Maritime Law, Franchising, Accounting and Taxation. She has also held courses in UK/US Practice and Procedure Courses for judges in Bologna. A registered TOLES trainer and examiner, Sofia is passionate about not only training up-and-coming lawyers in law subjects or language but also in soft-skill acquisition. To this end, she also trains in effective writing, presentation and public speaking skills, debating, negotiation and mediation skills. She provides consultancy to Italian professionals who wish to train and re-qualify in common law jurisdictions through the up-coming SQE (currently QLTS) or for accountants to become Chartered Accountants in UK. 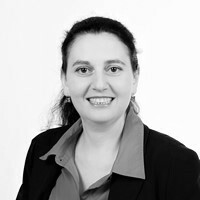 Founder of legalenglishskills.com and co-author of The Legal English Manual (2013), Alison Wiebalck has been coaching legal professionals in legal English in and around Zurich since 2004. 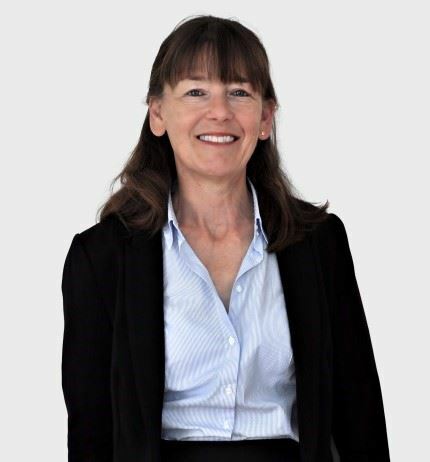 Alison holds a BA LLB from Macquarie University, Sydney, Australia; a Doctor of Laws from UNISA, South Africa; a Masters of Applied Linguistics from the University of Birmingham, UK, and the CELTA / SVEB 1 from Zurich, Switzerland. She is an active member of the English Teachers Association of Switzerland (ETAS) and the European Legal English Teachers Association (EULETA).